Xiaoyu (or Rain, in English) is a promising symphonic power metal quintet from Guangzhou in the People’s Republic of China. Founded back in 2005, the band released its first full length record in 2008 which can be loosely translated asForest Pavilion, and delivered a strong follow-up by the end of 2013. This album is a little bit tougher to translate, but the term Downtown Fall Border sounds the best to me. The four young men on bass, drums, guitar, and keyboard, as well as the female singer bring forth a diverse batch of song writing which includes calm, sometimes neo-folky passages in the key of Empyrium, great melodic guitar solos, and an almost ambient use of keyboards which places them closer to bands like Edenbridge. Finally, Rain throws in a few gothic metal passages in certain songs, where the gracious female vocalist gets the support of some hoarse and rather unique male growls in a style very familiar for fans of groups like Epica. After a great, quick introduction, the quintet from Guangzhou immediately delivers in form of the gracious “Silence”, which unites all the different elements cited above in one single song with gripping songwriting. Calm moments carried by decent atmospheric keyboard parts, occasional acoustic guitar passages, and angelic vocals meet fast power metal and well-executed guitar solos. The song has a running time of seven minutes and a half, but it neither gets redundant nor loses its clear guiding line. “Warriors Underneath The Sun” is more of an overall up-tempo track with gripping riffs, fast power metal solos, and organs, while the hoarse male vocals are used more and better to contrast the elegant female singing. The great middle part of the song that gives us a short break introduces a folky section with powerful gang chants that I could hear coming from a Gwyllion release. Moving along, the almost medieval flute sounds in the laid back “La Porta Di Luce” pull on the laid-back elements even further. The calm tribal drumming and dominating bass guitar also shine in this track, while the touching soft vocals reach out to caress the listener. Old Nightwish fans should dig this track, as well as the similar and maybe slightly catchier album closer “The Path To Paradise”. While the first few songs on the album will immediately appeal to a wider audience, the second part of the album is not only calmer overall, but also more progressive, with songs reaching running times of above ten minutes. The emotional violin, gloomy piano, and chilling extensive neoclassical guitar solos in the mysterious title song meet what is probably the most outstanding vocal performance on this release. Pang Yuet, also called Xiao Xiao, reaches her highest vocal ranges and performs as fantastically as a professional opera singer without ever sounding annoying. This track really lives due to her effortless performance, and I can’t but fall in love with her voice. If you like laid back classical music or symphonic metal, this is the kind of song that is a little bit more challenging at first, but will turn out to be an outstanding highlight on this release. If you had to listen to only one song on this whole album, this is it. 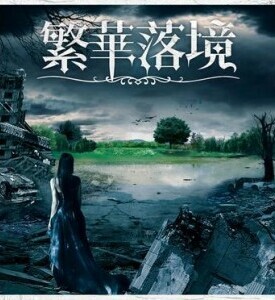 Apart from the slightly redundant transitional instrumental “Twilight Flowers By A Rainy Night” and a well done short introduction, Xiaoyu’s second output includes seven creative and touching high-quality symphonic metal tracks that ought to grow on you with each spin. Along with the latest releases by Epica and Xandria, Xiaoyu’s record is easily among the very best symphonic metal releases of this decade. Among many promising obscure Chinese metal bands, Xiaoyu, is one that should be kept on your radar for more obscure metal endeavors. I highly recommend you to listen to Xiaoyu’s release for free now.